Fibre internet will typically deliver the fastest fixed-line broadband speeds you are likely to find in New Zealand, but where can you find the best deal for your needs? Canstar Blue is here to help as we compare fibre broadband plans side-by-side, so you don’t have to spend hours – with 20 tabs open – to basically act as the rope in a tug-a-war game between internet providers. You bet they’ll all be thrilled to pull you in as their next customer! Fibre internet plans have many desirable features on offer, whether it be cheap internet, flexible contracts, or super-fast speeds. But not every feature is suited to everyone, so we focus on value and suitability to help ensure you get the fibre broadband plan you are after! Skinny unlimited fibre broadband costs $73 a month for basic fibre. With this offer, you will receive free standard connection, and a free modem. Whereas, if you were to opt for the no-term contract offer, the standard connection fee is $49 and the Skinny modem is $99. Payment proceeds from the day you connect and will need to be paid on that day each month. It helps to take note that Skinny has won first place for broadband in our annual customer ratings each year since it launched its broadband offerings in 2018. The internet provider had only offered broadband for about five months when it was recognised with five stars in every research category rated and therefore, took out the win. These results come from our survey of almost 2,000 Kiwis, where we asked them to rate their internet provider on customer satisfaction. 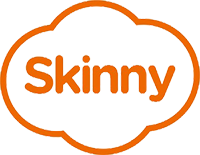 So, if you’re looking for an internet provider favoured by other Kiwis then Skinny could be the one for you. Slingshot offers unlimited fibre broadband – at up to 100Mbps speeds – from just $84.95 a month, and 150GB data of fibre internet from $69.95. These plans come with free standard installation and high-speed AC Wi-Fi modem rental, and if you bundle your Slingshot fibre internet with Slingshot power, you could save an extra 10% with prompt payments. As of March 2019, you can currently choose between a range of free gifts with either a 12-month broadband and power plan or a 24-month broadband and power plan. With BBQs, a smart watch, a laptop, or a tablet on offer, the free gifts vary from $220 to $579 in value. Spark Fibre offers a fibre broadband plan called the “Unplan Fibre Broadband Plan” which will cost you in between $65 and $85 depending on your usage. If you use 60GB of data or under then you would pay $65 a month while a usage of, in between 60GB and 120GB, will cost you $75 a month. And, 120GB and above will cost $85 a month. For an extra $10 a month you can get the Unplan Fibre Entertainment Plan where you’ll receive a Lightbox standard plan and 12 months free Netflix. With these plans, you will receive a free modem but there is a shipping fee of $14.95 and there may be non-standard installation fees on top of this. With all fibre broadband plans, we recommend reading the fine print. For instance, for the Unplan Fibre Entertainment Plan, if you activated your Netflix offer before the 22nd of February 2019, you can only get 6-months’ worth of free Netflix. This offer also ends on the 14th of April, 2019. You can compare internet providers below to find out the ones most suitable to what you’re looking for. Kiwis just like you rated their internet provider on a range of factors including value for money, flexibility of contract, network performance and overall satisfaction. The table in the comparison tool below also has a ‘details’ button for each internet provider where you can click in and ready easy-to-read information on them. Stuff Fibre has higher speed fibre broadband at a tad higher cost. Both the 12-month contract and 24-month contract have the same conditions at the same price per month, of $84.95. For this you will receive unlimited 100Mbps fibre, a router and free set up. You will also receive two months’ free data for the 12-month contract and four months’ free data for the 24-month contract. The termination fee for the 12-month contract is $99, so Stuff Fibre give more flexibility in terms of changing your mind or opting out. This price is more than double for the 24-month contract, though, as exiting the contract will see you through with a $255 fee. If you really want the ultimate flexibility, the no-term contract is for you. You will be charged $5 more per month with a monthly bill of $89.95 for unlimited 100Mbps speed fibre data. The set-up cost is $99.95. And for all of these Stuff Fibre internet plans you will receive a complimentary 30-day money-back guarantee. Let’s just say, Stuff fibre is designed for the indecisive ones of us. 2degrees basic unlimited fibre broadband costs $75 a month. With this you will receive $200 joining credit and a year’s free Amazon Prime Video when you sign to a 12-month-long contract, along with free modem rental and standard connection. If you are already connected to a 2degrees pay monthly phone plan, you can receive a further $10 discount off each month. However, you will be charged $15 for modem delivery. There is also the option to have an open-term plan – where you can leave at any stage, without a termination fee – but it will cost you $165 for a modem and $99 for the connection fee when signing up. 80GB of 2degrees fibre internet will cost you $75 per month so this may be a great option if you know you definitely won’t need more than that amount, as you will save $10 a month. Doesn’t sound like much but that is $120 a year and it all adds up. And, you will receive the same perks as the unlimited fibre broadband plan. For the standard fibre broadband plan, Vodafone charges $72.99 for 240GB of data. 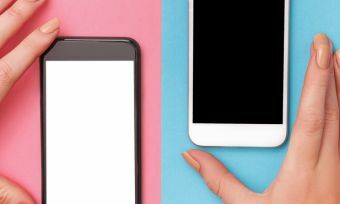 Vodafone fibre plans work slightly different to other internet providers, in that their unlimited data fibre plans don’t offer standard fibre speeds but instead offer higher speed fibre at either 100Mbps or 200Mbps for a slightly higher price. The slowest download speeds for fibre broadband plans in New Zealand are around 30Mbps, while the speediest are about 100Mbps. Download speeds are essentially the rate data is shifted from the internet to your device. The Smart Connect plan offers higher speeds of 100Mbps or 200Mbps for $82.99 and with that you will receive $100 Broadband Credit when you switch to Vodafone for this deal. While there is the standard $199 fee to terminate the contract, this amount increases to $299 if you’re on a 24-month contract and want to terminate before the end date. For the aforementioned fibre internet plan costs, we found the exiting fees tended to be $199 for 12-month contracts so make sure you’ve done your research before signing to a fibre internet provider. We all know you’re better off avoiding preventable costs. We’ve made it easy by comparing the market and asking other Kiwis their views on their providers. Find out their thoughts in our internet comparison table via the link below. Good luck and when it’s all done and dusted, happy browsing!